Fab sentiment and what a terrific card... Much better than the shop bought one! Very cute makeover! 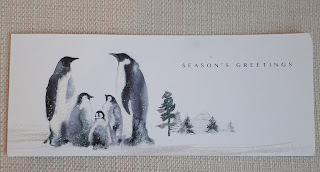 I like all the glitter and the fun dancing penguins! They look so cheery for Christmas. Your card is much much better than the store bought card. It's brilliant! What a fabulous idea and I think your version is heaps more appealing. 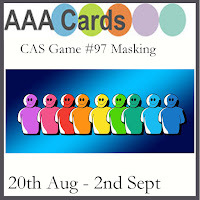 Thanks for sharing at AAA Cards. Great challenge card Marina. I love your cutesy version and the saying is hilarious. Great job! 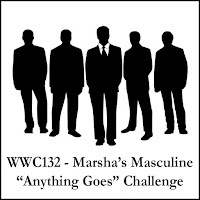 Thanks for joining our Masculine Anything Goes challenge at Watercooler Wednesday this week. your pro-am challenge is a clever idea, and I love your take! 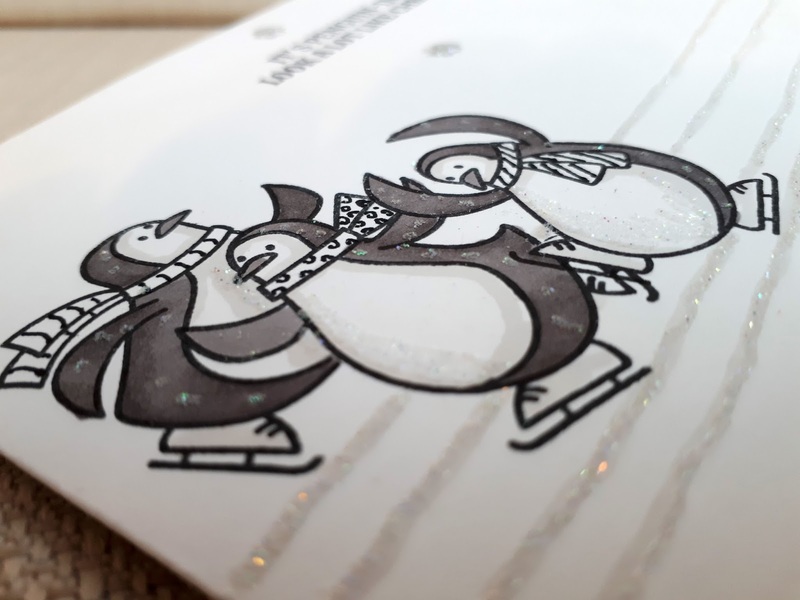 Skating penguins - what's not to love! So cute. Thanks for joining us at Watercooler Wednesday. The penguins are so adorable. Love it! Those penguins are too cute...and their doodled scarves are gorgeous! Thanks for joining us at Sweet Stampin' this week. 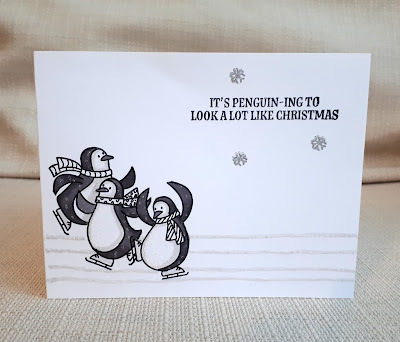 your card is adorable.. love your fabulous doodling! 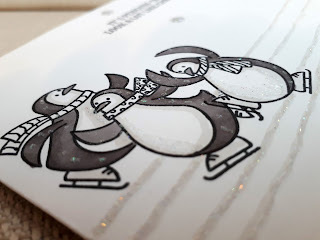 Thanks for sharing it with us at Sweet Stampin! Such a cute card Marina. I love the idea of taking on a store bought design. Very clever! How fun....I actually prefer your version. Thank you for sharing with us at AAA Cards!